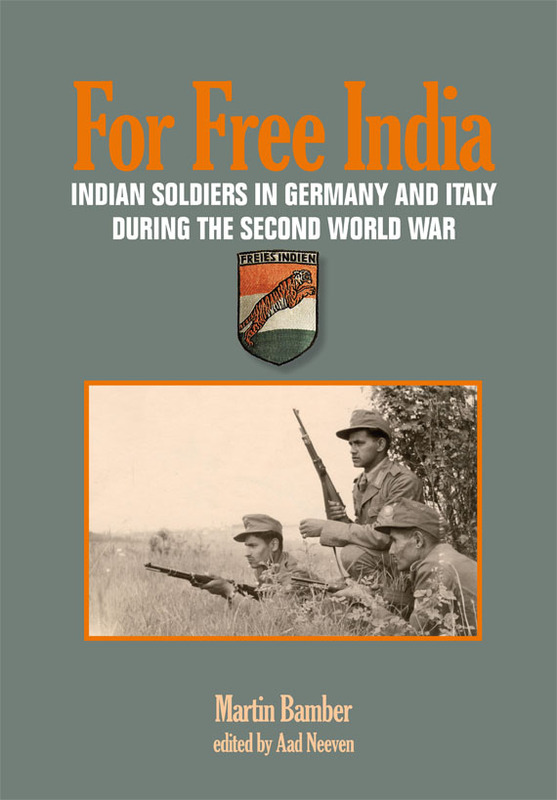 A thoroughly researched publication telling the history of the the Indian nationalist volunteers who served in the German and Italian Armies in the Second World War has just been published. The book is a comprehensive study of the Indian soldiers of the Legion Freies Indien and the Indische Freiwilligen Legion der Waffen-SS of the German Army and the lesser-known Battaglione Azad Hindoustan of the Italian Regio Esercito from 1942-1945. It presents the background leading to the formation of the different Indian units in the German and Italian Armies, including the role of the renowned Indian Nationalist leader and creator of the Free Indian Legion in Germany: "Netaji" Subhas Chandra Bose. The Indian volunteers also served in both "special forces" and regular units of the Wehrmacht and the Italian Army even included small parachute unit. Others underwent training by the German Police and the SS. All these units are detailed in order to present a complete history of the Indian volunteers’ service in the Axis armed forces in Germany, the Netherlands, France and Italy, as well as their ultimate fate at the end of the war. The foreword to the book is written by Mihir Bose: an authority of the life of Subhas Chandra Bose as well as the author of a well-known biography of a man who is still widely-regarded in India as "The Lost Hero". A short afterword has been written by Prof. Dr. Anita Pfaff: the only daughter of Subhas Chandra Bose. All aspects of the subject are covered, and the book details the insignia and awards of the Indian Legion, Orders-of-Battle etc., as well as presenting the story of propaganda activities directed against Indian troops in British service and even radio broadcasting from Europe to India itself. The book is an A4 large-format hardback, printed on high-quality paper, using full colour throughout. It features over two hundred illustrations, maps and documents. Many of the photographs are being published for the first time.